Edvirt took part of a sprayed concrete workshop arranged by BASF for Oyu Tolgoi in Mongolia between 4-7 April. The around 40 participants from OT and Red Path got to learn about sprayed concrete though theoretical, practical and simulator sessions. 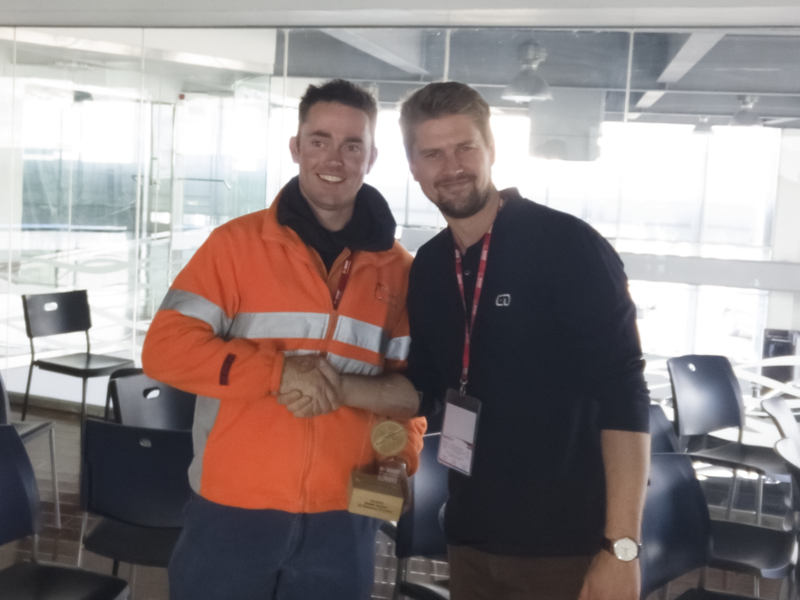 A big congratulations to Joshua Watson who won the virtual spraying competition, and was awarded the Master Sprayer Competition Trophy. Older PostEdvirt among the 33 hottest tech companies!